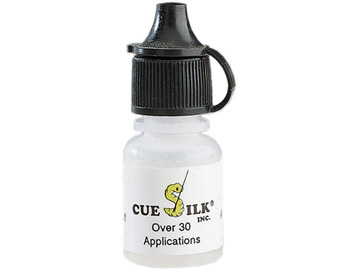 Cue Silk is a conditioner and sealer that lifts dirt and oil off your cue shaft and leaves it feeling silky smooth. This proven formula solution is an absolute must if you want to keep your cue shaft in tip top condition. Each 0.25 ounce bottle contains over 30 applications.